The Reality is that shopping at the Supermarket is quite a way of life. It pretty much rids you of making lists and picking from there (though you end up shopping even what you didn’t need) The Variety of items, and the constant availability is actually an addiction. So you know that everything that’s on your mind, you’d find it there. But the down side of shopping at the supermarket is the fact that everyone wants to buy from there, for obvious reasons. Causing nothing, but a crowded aisle. 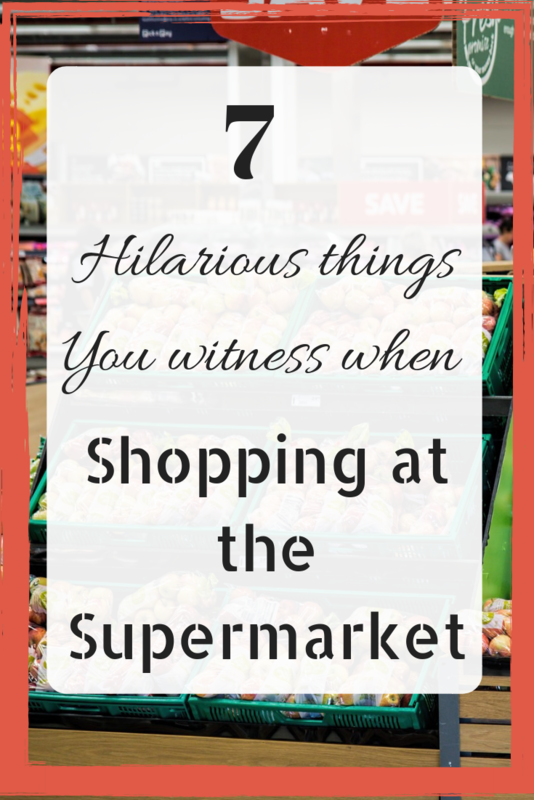 Here are 10 Annoying things that happen at a super market!! Go to pick a trolley and the kiddie cart is never available. What is worse? Your child having a horrible melt down because they spotted some other child riding in one. Though, that child’s mother would have a peaceful shopping experience, your quota of everyday peace just got over! If you have twins like I do, your nightmares are far worse if you don’t get a kiddie cart, and the devil walks down from hell if you get just one! There’s nothing better than finding a long lost friend while shopping at the supermarket. But you know what’s the worst? Having to witness such a reunion in one of the aisles at the supermarket. So there are these two friends, standing there, hugging and talking and wiping tears of joy, while you stand there, waiting for them to move so you could pick up your pack of sanitary napkins. When you ask them to move?– Talk to their hand. They couldn’t care less. So there is this special set of people who are actually watching what they eat. No, not because of weight or health issues, but like LITERALLY. Probably, because they kinda have a lot of time with them or could be a mother who’s out on a vacation from her kids and doesn’t know where else to go (yes, that’d be me too!). They are Reading ingredients, smelling packs, checking expiry dates, and even putting things in order – just because! The cashier – who wanted to take a break just in between your order. Can you imagine waiting in a long queue, finally thinking its over, unless the cashier decided to take a break?! Well yes, you sure can imagine that – been there, haven’t you ?! Now there are this bunch of people, you can never really tell apart from the crowd. They carry a teensy bit of guilt within them and you can barely tell when you see their faces. They are the ones who drop things by mistake and hide them in the furthermost corners of the aisle. And these are the same people who check tens of packets before they choose one for themselves! Hah! Caught you ! And this GIF, just because! Have you met any such characters, or faced any such situations? If you chuckled through this article, and nodded your head in agreement, SHARE this post ahead! What Night Suit Personality are you? Loved this piece. So much fun! I wonder what kind am I? Funny..you caught it right. I havent seen them except the last one. I have seen people go over the weekends because there is so much of sampling going on during that time of the week. Love your acute observations. Laughed through the post, thanks for sharing.